Henley on Thames is one of the most beautiful towns in England, recently voted by The Times as one of the best places to live in the countryside and a regular winner of Britain in Bloom medals. 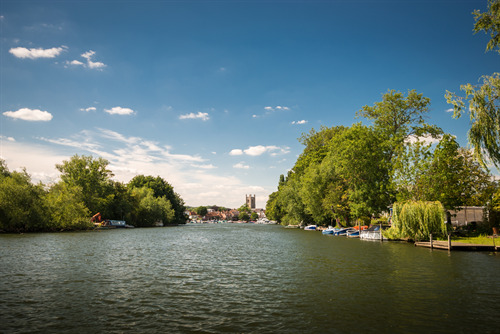 Henley’s riverside location – surrounded by a Chiltern landscape of wooded hills and green fields – lends itself to relaxation, long lunches and quirky shopping. There’s a pub where Charles I drank, a Chantry house, a butcher that smokes his own meat and independent shops still offering the personal touch. But it's not just beautiful, it's a town that knows how to throw a party. Henley has an international reputation for the world’s greatest rowing regatta, splashes out with the ‘joie de vivre’ of the summer arts festival and gets into the groove with '80's music festival Rewind. In fact Henley is a Town of Festivals. Henley’s historic heart sits a few strides from the River Thames. The main street has many Georgian frontages covering older buildings and among the 300 buildings within the town designated 'of special architectural or historical interest' are St Mary’s Church, the Town Hall, Market Place and Henley Bridge. Pick up 10 Brilliant Things To Do, the Henley Trail, Gallery Trail, Henley Town Map or the Midsomer - Henley's Murderous Locations leaflets from the Information centre in the Town Hall to provide more inspiration. This is a town dedicated to enjoying the river. So bring a picnic, pick up a copy of The Wind in the Willows, rent a deckchair and settle for an hour or two at Mill Meadows. 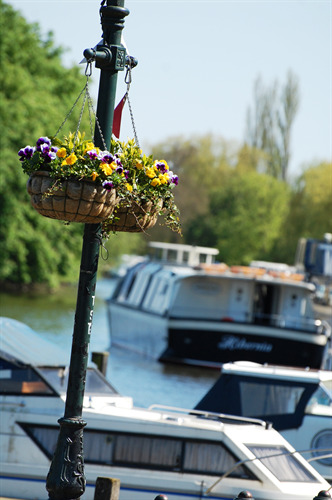 Or get on the river yourself, hire a boat and join in the fun with one of the town's oldest businesses, Hobbs of Henley down on the riversde. When visiting Henley's Market Place to enjoy a coffee or meal you'll find you can access Henley Free WiFi to browse on smart phones, tablets or laptops. There is a simple one time log-in which will take you to the Visit Henley website, and thereafter you are free to browse. This is a free service offered by Henley Town Council.